Two Reviews at the Price of One Post!! I’ve been getting through some books at a quick pace as of late. And now that I am connected to the Internet again post-move I can finally post about them! 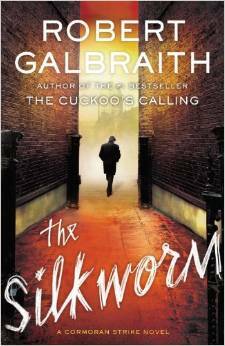 So the first book I’m going to write about is The Silkworm by Robert Galbraith aka J.K. Rowling (Happy birthday to her today btw). This book is the second installment to the Cormoran Strike series. I had heard quite a bit of backlash to the first book, and in some instances agreed. I haven’t heard much about The Silkworm yet, but I loved the book! It flowed better than the Cuckoo’s Calling and I think that has to do with the fact that the character was developed in the first book so she could get to more story in this one. 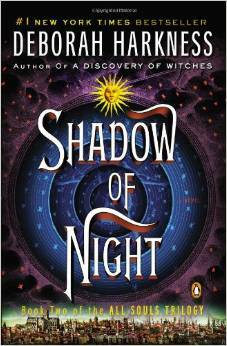 The writing also seems more confident, with more twists than the previous book. I look forward to more installments to the series in the future! OK–on to the second review– yes they’re quick ones this time around and I’m trying not to include any spoilers. 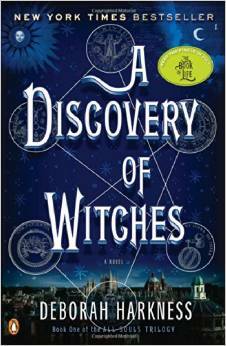 A Discovery of Witches by Deborah Harkness is the second book I’ve finished recently. I enjoy the world of witches and vampires, or as the book refers to non-humans, creatures. I think Harkness has created a unique storyline for her characters and I’m excited to keep moving through the trilogy. Many readers have critiqued the main heroine as a weak woman, and she does have her weak moments. But I think it is important for people to realize this character, although a witch, is realistic as a human. Diana is incredibly smart and successful in her professional life, but sometimes she needs help. From the first book of the trilogy I think Harkness has created great potential for her leading lady to grow to be a strong confident character. Nobody is strong all of the time, and even though this is fiction, readers need to be able to relate to characters and these flaws allow them to.